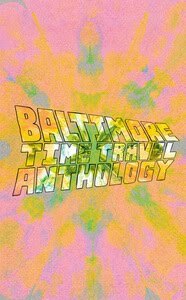 Did you know that there's a collection of comics about time travel in Baltimore? Did you know you can pre-order your copy now? Did you know that yours truly and a bunch of other fabulous Balto. comics artists are in it? WHAT ARE YOU WAITING FOR?!?!?!?! PRE-ORDER IT TODAY!!!!! Also, did you know that I'm finishing my Masters degree right now? Did you know I get about four hours of sleep per night? Did you know this is why I post so infrequently? DID YOU?!??!?!? !